Even prior to the Six Day War in Israel and Palestine in 1967, there has been an exponential increase in the risk to frontline personnel, whether military, law enforcement or security from typical “terrorism” threats such as explosives and ballistics. Whilst those risks remain on the matrix, mitigating measures have been put in place by the Security Forces and Agencies, which have seen the probability of such an attack reduce. The Intelligence and Security Services capability has increased in effectiveness to such a level that it is now extremely difficult for groups and individuals to plan, prepare and execute an explosive/ballistic centric attack against civilians and security forces in Israel. Kinetic activity, both cyber and human, is now more traceable than ever before. In September 2015, as a result of numerous clashes at Temple Mount in Jerusalem, Palestinian President, Mahmoud Abbas, publicly stated “Every drop of blood spilled in Jerusalem is pure, every martyr will reach paradise, and every injured person will be rewarded by God,”. The resulting impact of this statement incited a “Knife Intifada” by Palestinian factions throughout Israel, the West Bank and Gaza. At this point I would like to briefly highlight the typical “Planning Cycle” for a large scale (and impact) violent act of any sorts. 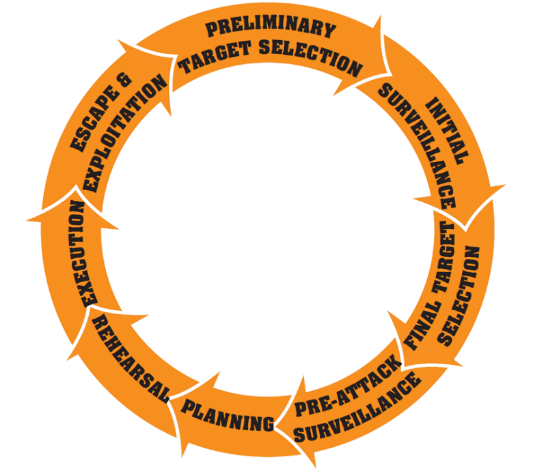 It’s important to understand the operational planning cycle commonly adopted by assailants who are intent on conducting an attack with explosives or ballistics. In general, these types of attacks are planned and prepared in observable stages; targeting, surveillance, sequencing, training and rehearsals. With the enhanced capability of the Israeli Defence and Security Services through human, physical and cyber intelligence, several aspects to the planning cycle can be disrupted and often halt or deter any further development. With knife-centric attacks, the planning cycle is completely different. Knives have become the weapon of choice for most Lone Wolf attacks. They are commonly available, and it is extremely difficult to stop an assailant from taking a knife from his/her kitchen draw, walking outside, and stabbing a passer-by. Add into the mix, the fractured Palestinian-Israeli relationship and assailants being driven by these factors, it’s extremely difficult for Security and Intelligence agencies to detect and prevent such a basic and low kinetic planning cycle. The development of edged weapons and knives being used in attacks is not solely seen in Israel. Our CEO, Robert Kaiser, published an article in 2018 titled “”The Global Rise of Knife Crime – Why?” (www.ppss-group.com/blog/global-rise-knife-crime/) which highlighted why we are seeing a global rise in knife crime. In Israel during the Knife Intifada and immediate aftermath, according to Shin Bet, between 1 October 2015 and 1 October 2016 there was a total of 166 stabbing attacks and 89 attempted stabbings. Some commentators have attributed the increase in Palestinian violence against Israelis either to a viral social-media campaign that may influence and motivate the Palestinian attackers, or ongoing frustration over the failure of peace talks to end the decades-long occupation. The developments in the use of knife and edged weapons has seen a marked increase in the number of single assailant or “Lone Wolf” type attacks. The relatively simple planning required coupled with the ease at which knives can be obtained, allow for any assailant to be armed quickly and undetected. I spoke with a former senior Shin Bet intelligence Officer living in Jerusalem who stated that “this isn’t just a rise in knife crime and incidents, its an absolute epidemic of attacks with knives”. Whilst Israeli Defence and Security forces do have measures in place to foil an attack, due to the very nature of conducting it with a knife – easy to conceal and in turn easier to avoid detection – a large number of incidents have occurred as the assailant approaches the Checkpoint and/or Soldiers. This ultimately means those with frontline, operational roles have a requirement for stab resistant vests and/or slash resistant clothing to provide adequate protection against this identified risk. The result has been a development in weapons and organisation, which has left Israeli politicians and security forces without a clear and identifiable opponent distinguishable from the wider population. As such, the former intelligence officer said “there are many concerned people in the Defence and Security Force arena, from senior commanders to the boots on the ground”…… he also added “Israeli citizens in general are very, very nervous. They are worried about what may happen if they go to the supermarket, the bakery or a restaurant”. There have been many “Lone Wolf” attacks that have been thwarted by Israeli Security Services with some numbers mentioned by officials as being in excess of 400 within an 18-month period. Additionally, there are many attacks that take place that go unreported in the media due to no fatalities being suffered. September 2015 to December 2018 – in excess of 310 stabbing incidents with over 70% being directed towards Israeli military and security personnel. 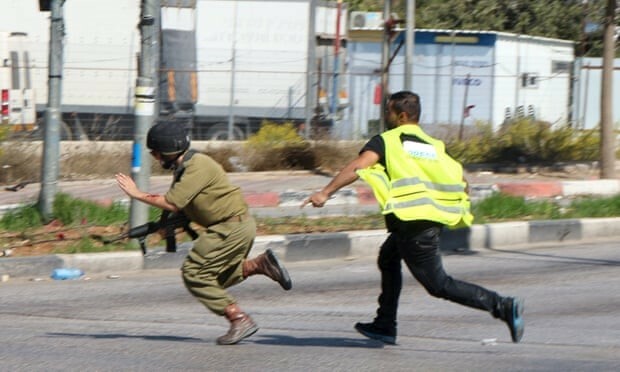 A Palestinian posing as a journalist chases an Israeli soldier after stabbing him, near Hebron. Moments later he was shot dead. Off-duty St.-Sgt. 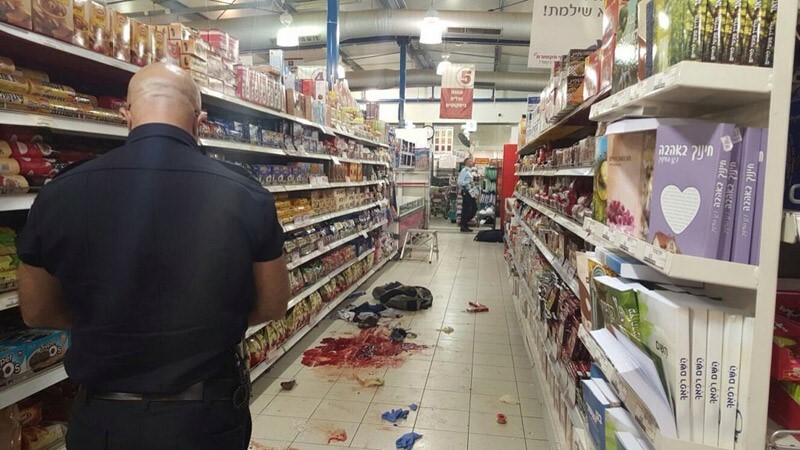 Tuvia Yanai Weissman was killed while trying to stop two Palestinian teenage terrorists from stabbing shoppers at a Rami Levy supermarket. Another person was moderately wounded. The assailants, both 14 from Beitunia near Ramallah, were shot. One was killed, the other wounded. Security guard stabbed by two teenage girls outside the central bus station and government offices. The assailants, aged 13, were taken into custody by police with knives in their possession. One was carrying a school backpack. 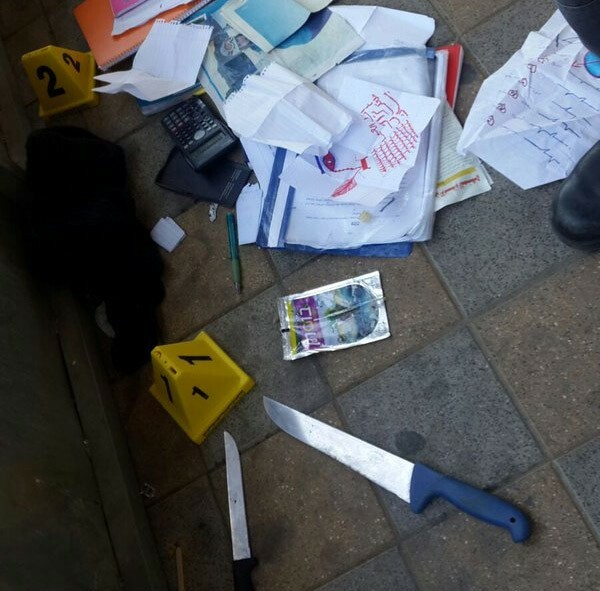 A civilian security guard was lightly wounded in a stabbing attack. 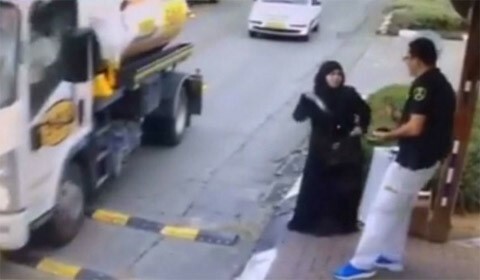 The assailant, a Palestinian woman, was shot and wounded. What’s Driving These Lone Wolves? The very fact that anybody and everybody has access to knives in their everyday lives, allows a perpetrator to arm themselves with relative ease and, with motivation, conduct a relatively low-kinetic attack very quickly with minimal planning. Society today, particularly amongst people aged under 40 years old are smarter, cleverer and more socially aware than ever before – supplemented further the reach of social media and how it can influence people. In summary, today’s society and this generation is well educated. News can be streamed across social media in a matter of seconds and individuals can process and interpret as they see fit. It’s well known that young Arabs in Israel and the West Bank can’t sustain humiliation and their processes are very much “if Israel is going to ‘kill’ us in the end, we should attack them first”. This provides adequate motivation for them to attack Israeli citizens or Defence forces in a spontaneous way. There’s a desire amongst some of the minority groups to emulate and imitate attackers over previous years and, in hand with social media news and postings, provides inspiration. The ever-changing and developing threat and risk picture, not just in Israel and the West Bank, but on a global basis, has seen a seismic shift in the tactics used by assailant’s intent on conducting attacks. The ease and briskness at which people can be armed with a knife and the ability to conceal the weapon, has seen this method become the more favoured approach. Groups and individuals must adapt to Intelligence and Security Service capability and as such, the tactics and techniques used by assailants adjust accordingly to be successful. In Israel, the Knife Intifada was one of the first indications of this tactical shift and it quickly gathered pace into the epidemic we see today. The figures outlined in the article are a clear blueprint that the Intifada is still happening today despite it officially ‘ending’. Groups and individuals have seen the ‘success’ that can be gained from conducting attacks in this way and, coupled with remaining social media influence, this continues to drive the intent. Ryan operated in Israel during 2006 supporting a diplomatic mission and since then has worked in high risk environments advising numerous energy, diplomatic and international development clients on security, risk and crisis management throughout the Middle East, Africa and Central Asia.